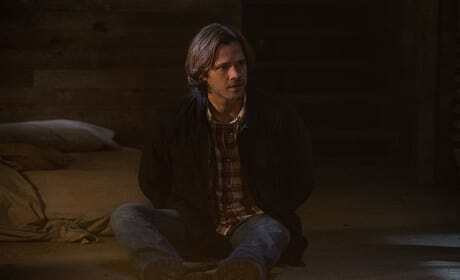 Sam has been captured, and hopefully, probably, his brother will show up to help him get free. 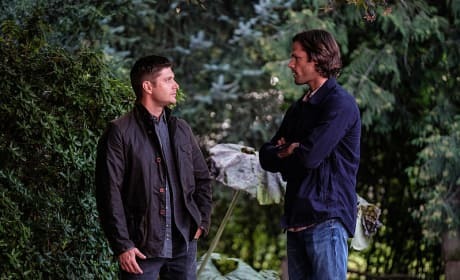 So is Dean just grabbing a beer in the meantime? Maybe flirting with a cute waitress? Sam definitely needs some help out of this one. Wait. Maybe Abraham and the other man are trying to protect Sam from the creepy woman? Probably not, but Sam needs to figure out how to get out of there. And fast! 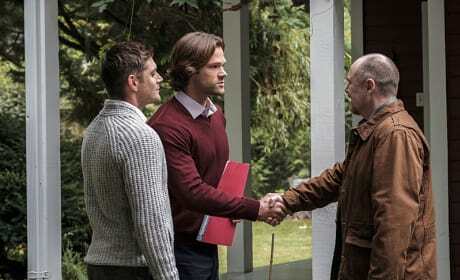 And to think that the guy Sam and Dean chatted up seemed so nice. There’s something definitely sinister looking about him now. And is that his son with him? What are they up to? 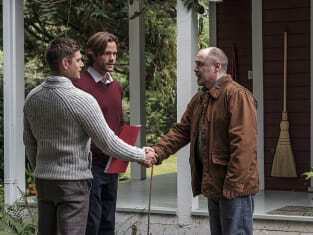 Sam and Dean don’t mess around when it comes to the supernatural. And if they’ve dropped their disguises for flannel, you know it’s serious business. There’s the usual outfits the brothers wear. They must be talking about the case, or are they discussing their mom’s departure? 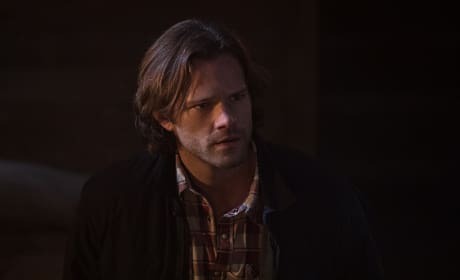 Dean’s all by himself, but he’s definitely on the case. The two must be sharing wardrobe secrets or where to get the best pie. Are those cardigans? Where is the flannel? 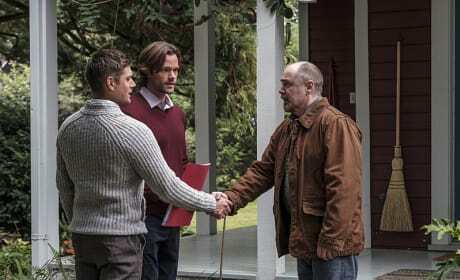 Sam and Dean look deep undercover in their latest case involving a religious family that lives off the grid. One’s an angel. One’s a demon. And apparently they solve crimes. Permalink: One’s an angel. One’s a demon. And apparently they solve crimes. Maybe we should focus more on the case and less on the Dr. Phil crap. Permalink: Maybe we should focus more on the case and less on the Dr. Phil crap. 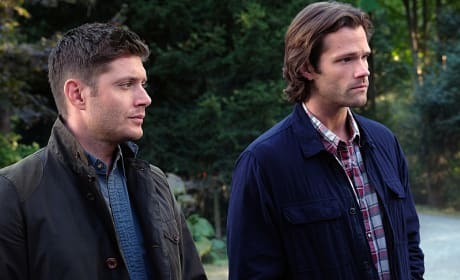 Supernatural Round Table: More Psychic Kids?! ?